Riviera ARC’s QSL card for the RNLI Torbay Lifeboat Week 2012 features Torbay’s All Weather Lifeboat RNLB Alec and Christina Dykes and Portland Coastguard ‘Rescue 106’ AgustaWestland AW139 helicopter. For up-to-date details on Riviera ARC’s radio station operations see our Lifeboat Week page. 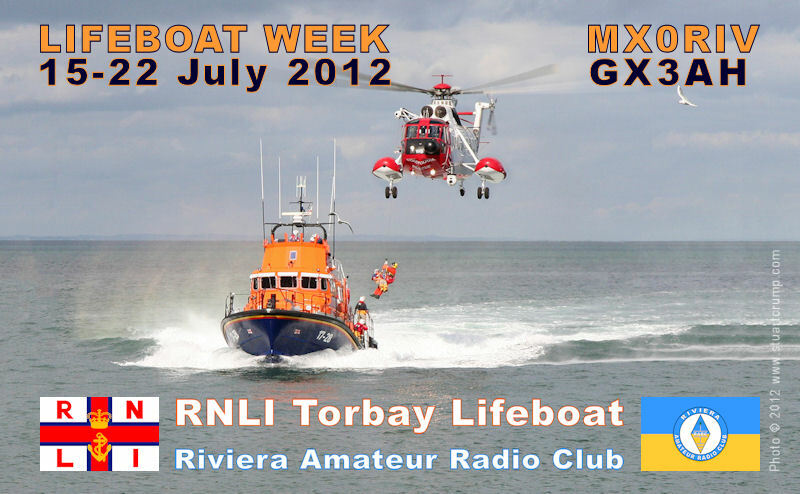 For information on all the Lifeboat Week 2012 activities at Brixham see the RNLI Torbay website. The photo is used by kind permission of Stuart Crump Photography. This entry was posted in Lifeboat Week, Riviera ARC and tagged Lifeboat Week, Portland Coastguard, Rescue helicopter, RNLI, RNLI Torbay, Torbay lifeboat on 26/06/2012 by G2DXU.